It turns out that when you’re making mini-cupcakes you should pay attention to the yield of the recipe. Having an abundance of mini-cupcakes is much more daunting, you eat three… and it barely makes a ding in your inventory. The cupcakes turned out delicious, that was not the problem. 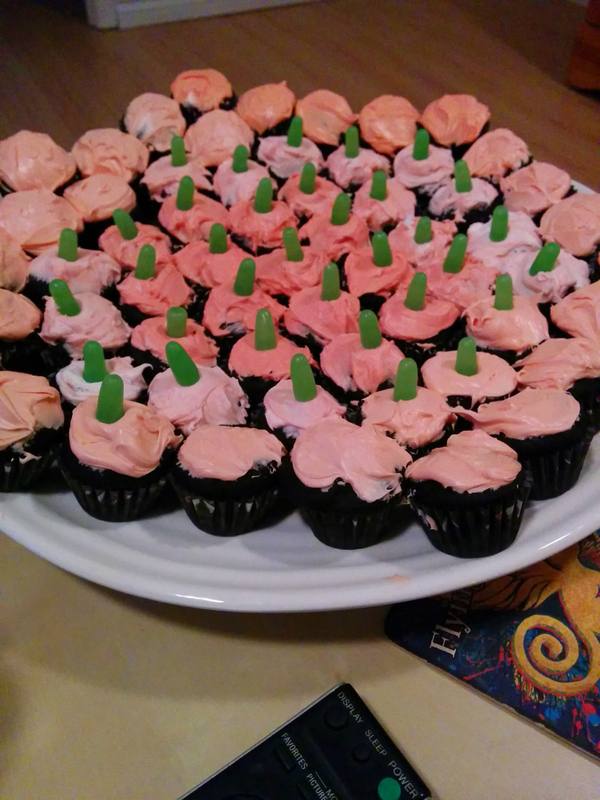 I had made the mini-cupcakes for our Halloween party. The plan was to decorate them and make mini-pumpkins, cute right? Well by about a quarter of the way through I was sick of it. Halfway through I ran out of icing, having used up an entire can of it! Needless to say, this is a labour-intensive process, save it for fancy parties. The base recipe however is simple, as the title implies. 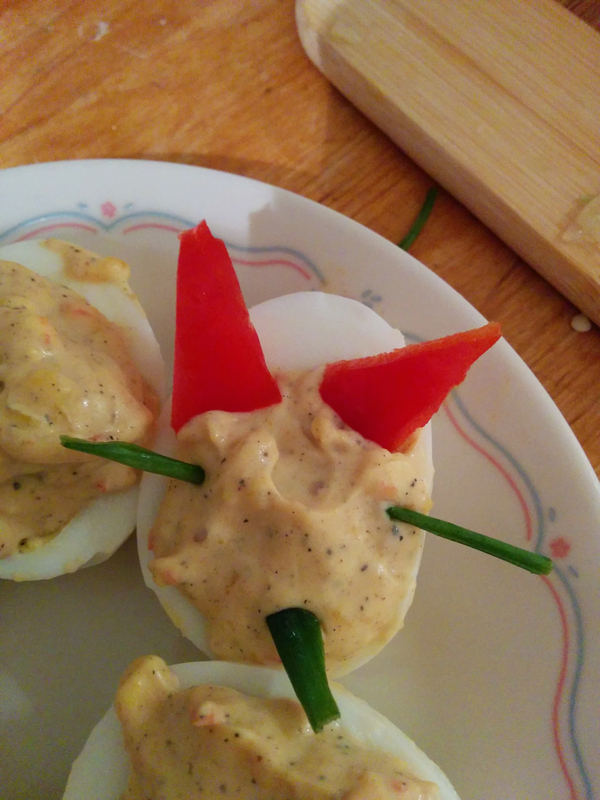 Again, I made these for the Halloween party. 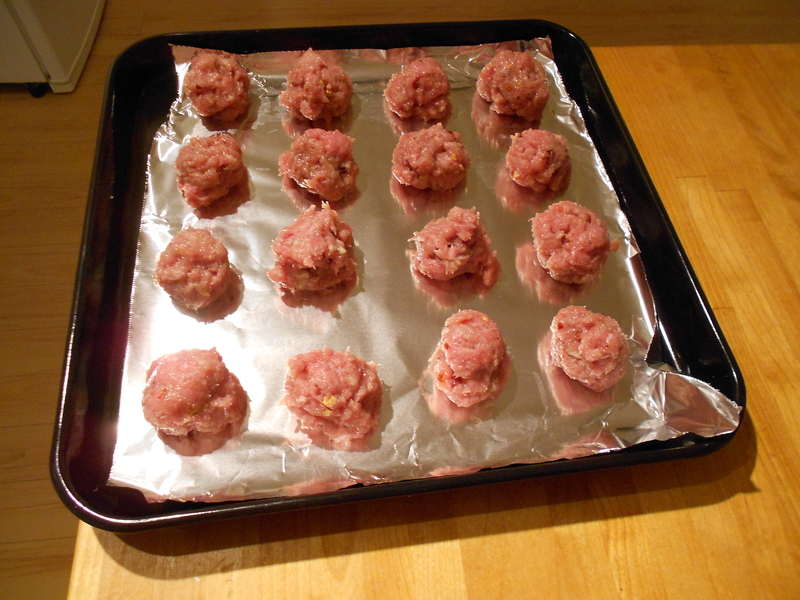 These are time-consuming, as you have to leave them in the fridge and wait while the filling sets. Cutting the red pepper and green onions into the decorations is tedious yes, but it looks really good afterwards. That being said, once these have been out of the fridge, say on the counter for serving, they will start to turn into a mess as the filling slides out and onto the plate. They are also a mess to eat, a very tasty delicious mess. Don’t use unripe avocados for this, they may be easier to cut but damn do they taste awful. Well, to me they did, everyone else seemed to not notice. 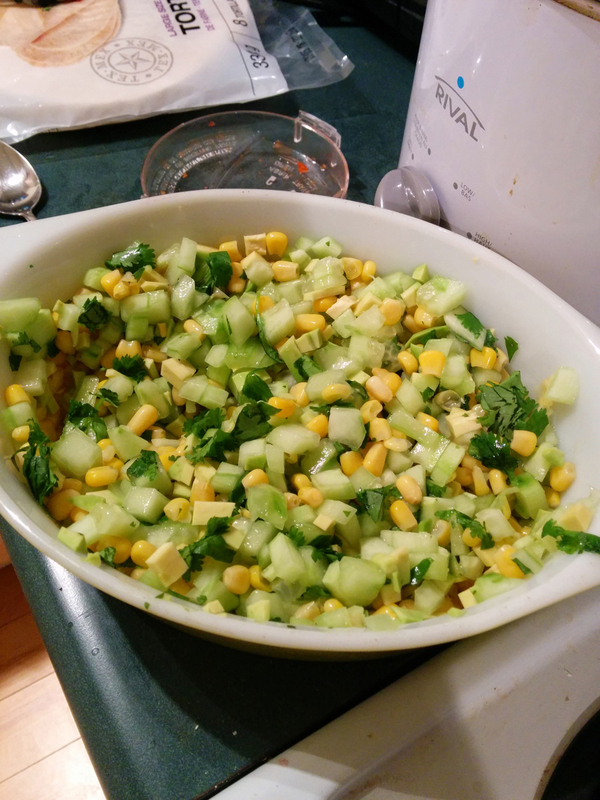 This salad takes a long time to chop, only make it if you have time or better yet: a slap chop. I think next time I will swap in green peppers for the avocado. 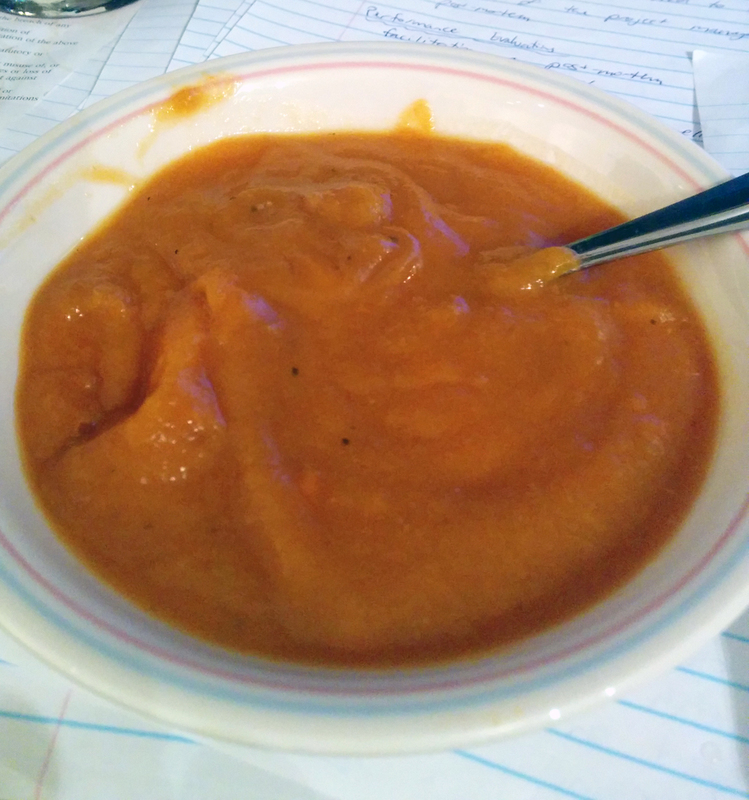 I was going to have my wisdom teeth removed, in preparation I made sweet potato ginger soup. It was a disaster. Lacking fresh ginger, I just assumed I could sub in ginger powder instead. What I did not know is that 2tbsp of fresh ground ginger and 2tbsp ginger powder are nowhere near the same. It was overly powerful and unbearable. I ended up making a second batch, which worked out well given I ended up using the rest of the carrots. This time I added no seasonings and mixed the two together… it was still a little too ginger-y for my tastes. However I like the base of the soup, carrots and sweet potatoes. The recipe is a keeper if modified with much less ginger. Even if it looks like baby food/mush. Ground turkey was on sale one day and I found myself with two pounds of it. Not wanting to make chili again, I opted for making a turkey meatloaf. I turned once again to Martha Stewart for help. 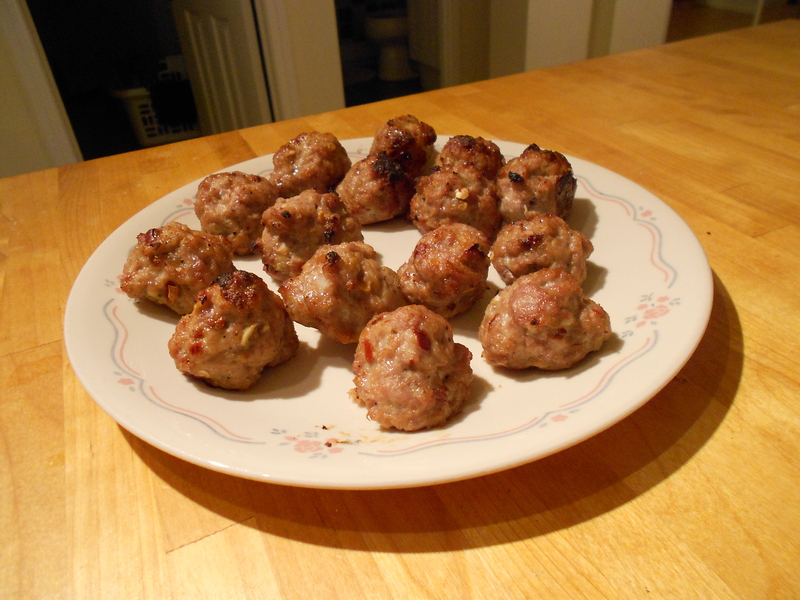 I found a decent sounding recipe… which I only barely followed. First off, I only used turkey as opposed to beef, pork and veal. I also lacked Worcestershire sauce, so I added some more salt. Rather than making a glaze to put on top, I just mixed the ingredients in. Instead of making bread crumbs I used the ones I already had. 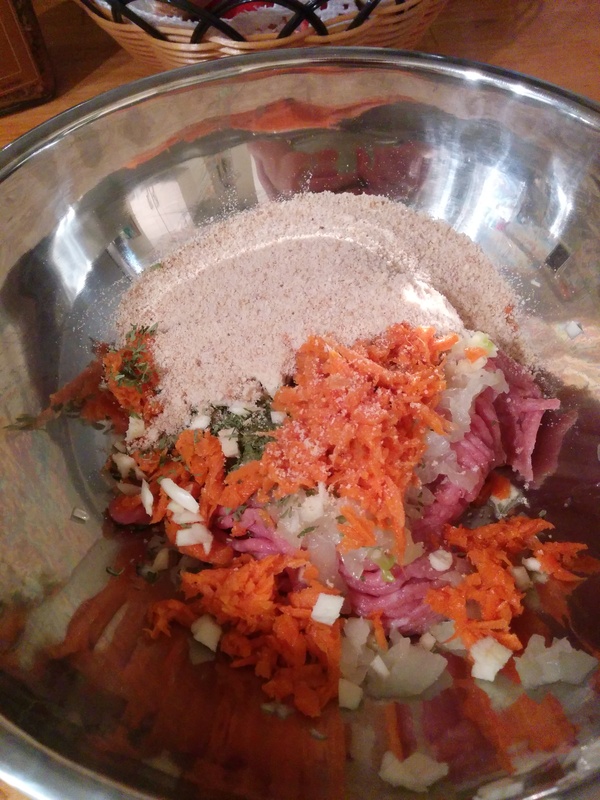 At some point I was wary of how it would turn out, there are a lot of shredded carrots in the recipe. It turned out delicious, a little bit sweet (the carrots did not help in that department) but it makes for a good dinner. A lot of dinners actually. I cut it up into easy-to-serve-for-one slices and wound up with about 10 dinners worth of meatloaf. Not bad for under $20. Lessons learned? Of course! For one thing you cannot sub out fresh ginger and use ground ginger in the same amount. Even if you freeze an onion and then chop it, it will still make you cry. Meatloaf is so easy to make! Not fully ripe avocados might be easier to chop but they taste horrible. Bonus! A recipe from my kitchen! Made up (mostly) by me! In the spirit of trying to eat healthier I endeavored to cook up beans as a side dish for my dinners. Slow-cook on high for 4 hours or so. Enjoy! Am I not a brilliant genius? I was feeling fancy recently, fancy enough to tackle cherry coke float cupcakes. I did my homework this time, reading the comments. The only thing that stood out was that it was a gargantuan recipe. Not feeling confident enough to halve the recipe (because that usually ends in disaster somehow). Really not wanting to screw these up I went all out, even bought buttermilk (of which there is now 3/4 of a carton taking up room in my fridge). 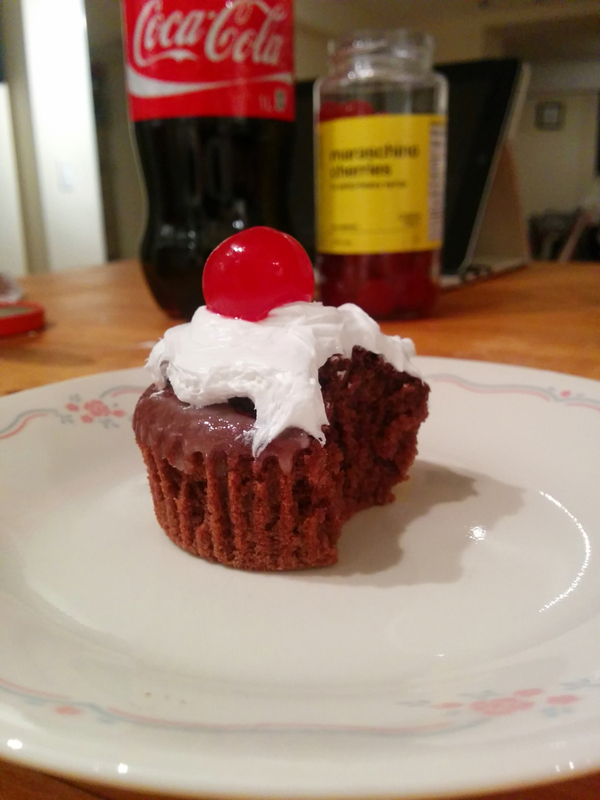 I was wary of using cherry pie filling and making filled cupcakes. I instead went the creative route. I drained a jar of maraschino cherries and added the juice to the batter. The taste was very subtle. The cupcakes turned out amazing, better than I could have hoped for. I am not a huge fan of fruit fillings let alone chunks of fruit in my baked goods. This was much better. I also cheated, instead of using whipped cream I instead topped them with whipped white frosting. In the end I wound up with a bunch more cupcakes than I could have ever eaten. They also tasted more like black forest cupcakes than cherry coke. No complaints here! We had decided on an “end of summer BBQ” before everyone headed off back to school and we would never see each other again. Things were not going well. We forgot the grill and the poker stick. I had to run back. Which in 30+ degree weather just about did me in. 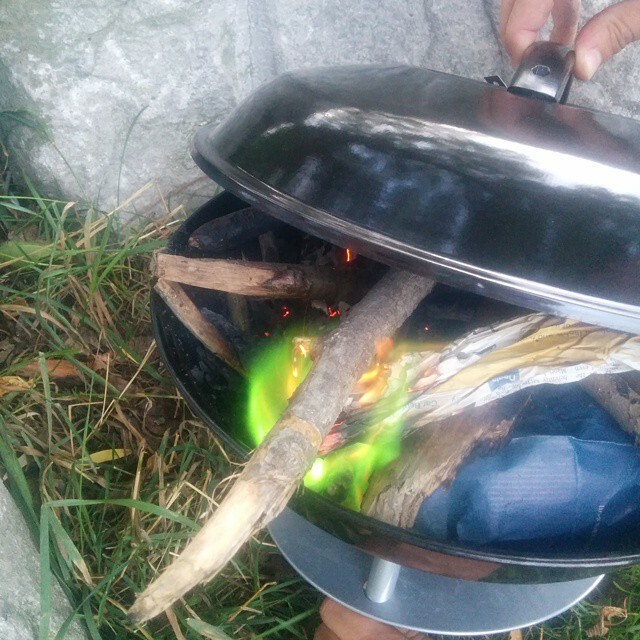 Then it was incredibly windy and hard to light the fire. Finally we got the fire going. The flames were green but that is OK, they were still hot. Why was it so windy? Because a huge storm was brewing. We had barely gotten things going when we had to pack up and go. 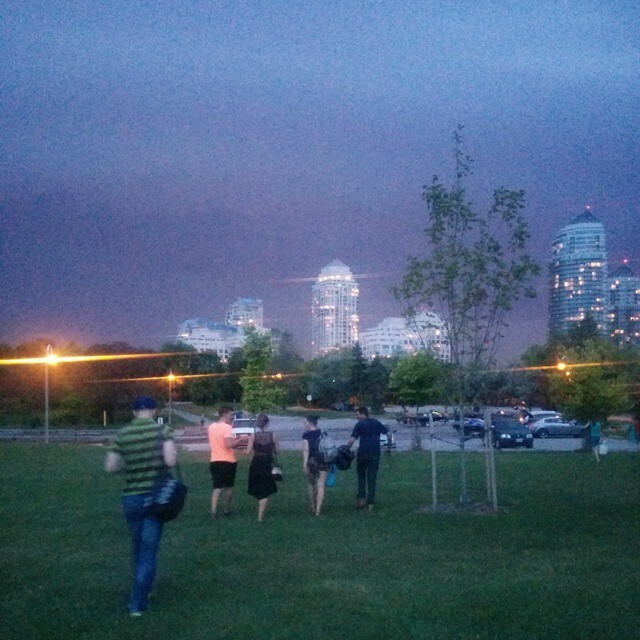 A huge storm-front with menacing clouds and lightning was moving in fast. 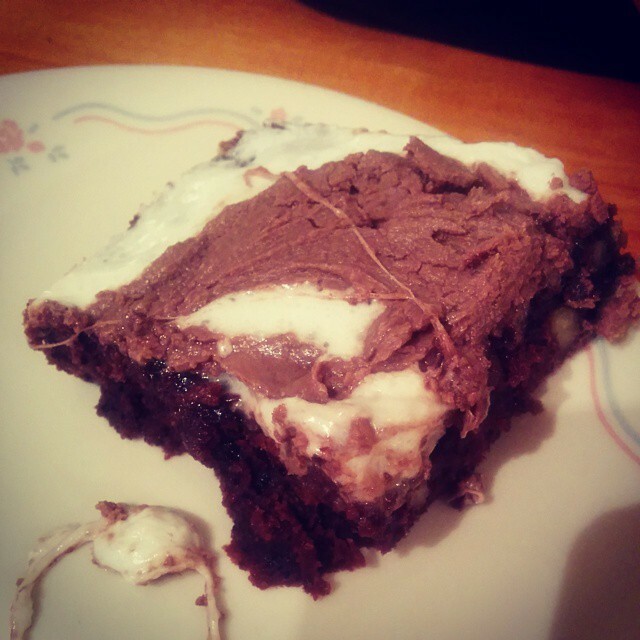 For the BBQ I had made Mississippi Mud Cake. It was a terribly messy affair and rather counter-intuitive. A cake with no baking powder or baking soda?! I was sure it was doomed to fail. The marshmallows had all melted into one giant blob. They were delicious… but a little too sweet and decadent even for my sweet tooth. It’s one of those desserts that you can really one have one. I finally got around to tackling some of the older recipes on my Pinterest board lest they sink further to the bottom into obscurity. Somehow one recipe turned into three. I was going to make balsamic-garlic pork loin. I had the (giant) pork loin roast defrosting in my fridge for two days when I realized: crap, I would not have anything to eat for dinner the next day unless I cooked a (sort of still frozen) pork loin. 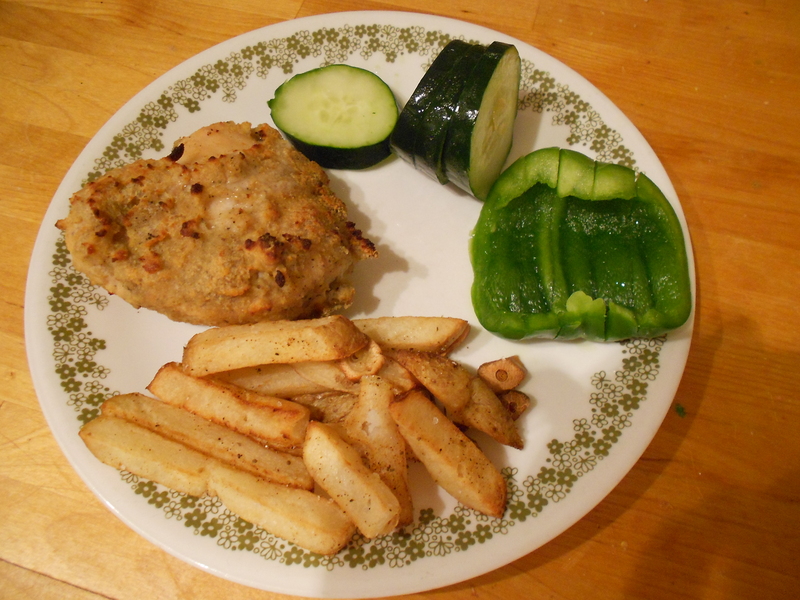 I took some chicken breast out of the freezer to make lemon chicken. Alas, the recipe called for marinating the chicken overnight. I figured if the chicken is marinating, so will the pork. I was already in the kitchen, best to make one giant mess than two small ones. I had also found crab at the grocery store that week. Two dishes were more than enough for one day however. The pork loin had a giant bone in it that I first had to cut out of there, to make it fit in my tiny oven. At some point Brent poked his head in and mentioned that he was hearing a lot of hacking and I looked up brandishing a knife with pork fat hanging off it and said everything was fine. It took a lot of effort to get that damn bone out. At least now I have something for pork bone soup. After everything going smoothly with the pork it is no surprise that the chicken dish almost failed. Turns out I forgot to adjust, given I was using one large chicken breast instead of 3-4lbs of “chicken parts.” I was desperately scraping thyme and rosemary off my chicken in a desperate attempt to save it. I managed to salvage it. I also managed to use up the sad little half lemon I had leftover from making lemon-blueberry muffins (wherein I learned that subbing in egg-whites for eggs is only OK in cookies, it fails terribly in cakes and cupcakes). I was way too tired to attempt the crab cakes, I left those for the next day. They were the easiest to make of the three dishes. Very few ingredients and they all mix well together. I breaded mine, which for some reason is not in the recipe. The only downsides are that, as far as I know Old Bay seasoning is an American thing (I got it while in the US last year) and crab is expensive. My freezer is now stuffed to the brim and I have at least the next two weeks covered for dinner. I remember always being told that you cannot take shortcuts in life. 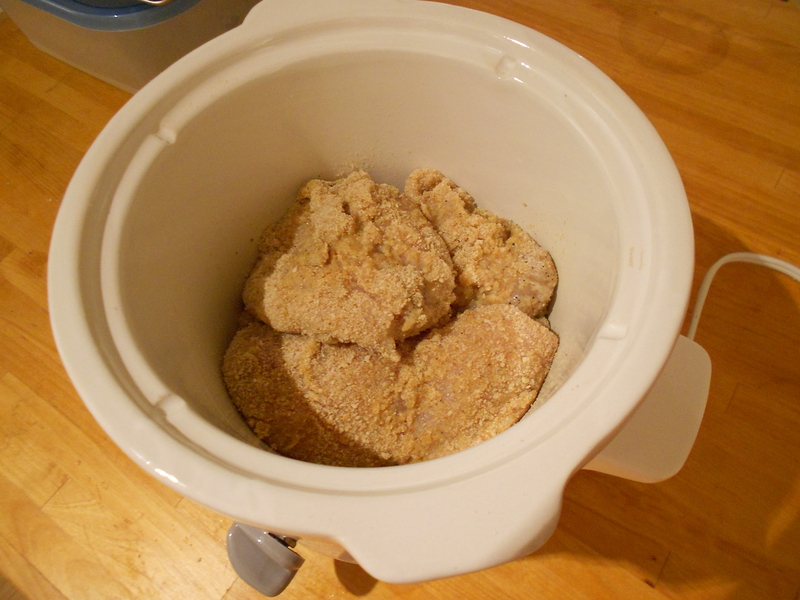 Never has this been more true (at least to me) than when I tried to make crock-pot “skinny” “fried” chicken from my Pinterest board. It’s not that it did not turn out, it just doesn’t taste like fried chicken. There is no getting around the “fried” part of fried chicken, plain & simple. Not that I expected it to be exact but closer would have been nice. I did get to cook some more of the chicken I had stock-piled a long time ago when my No Frills was closing down. That being said, the chicken tastes good, really good. 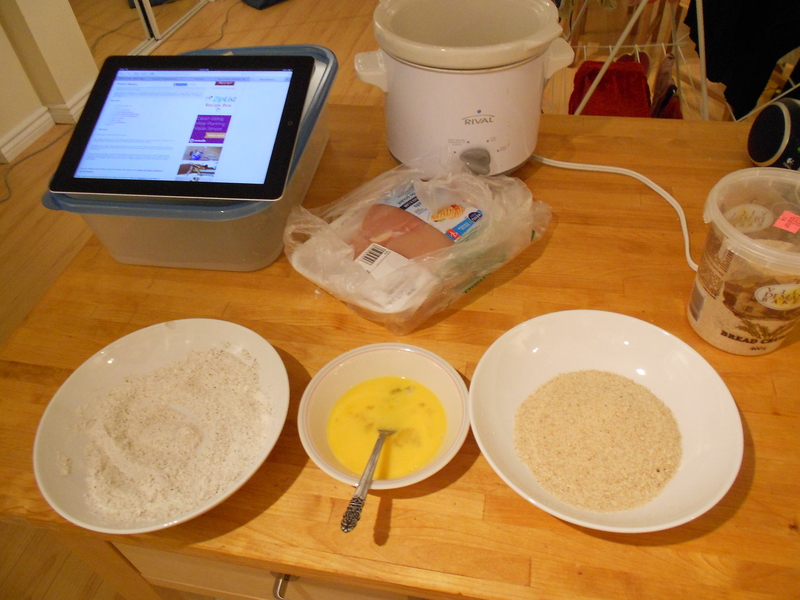 The recipe is a bit more labour intensive than I would have preferred, it does not warrant the use of the crock-pot. The chicken would have been just as good (better?) had it just been baked in the oven. I had it in the crock-pot for the prescribed 2.5 hours, with the lid being off for the last 10 minutes. Even still I found it needed a bit of follow-up time in the oven, in an attempt to get some crispiness. I would make this chicken again, but I would skip the crock-pot all together and toss it all in the oven. Less to clean, faster cooking time, hopefully crispier chicken. By the way, notice the addition in the first photograph of an iPad? Makes life in the kitchen so much easier. Love it.